WOW! We are now well into month 6 of this pregnancy and wishing time would speed up/slow down at the same time! 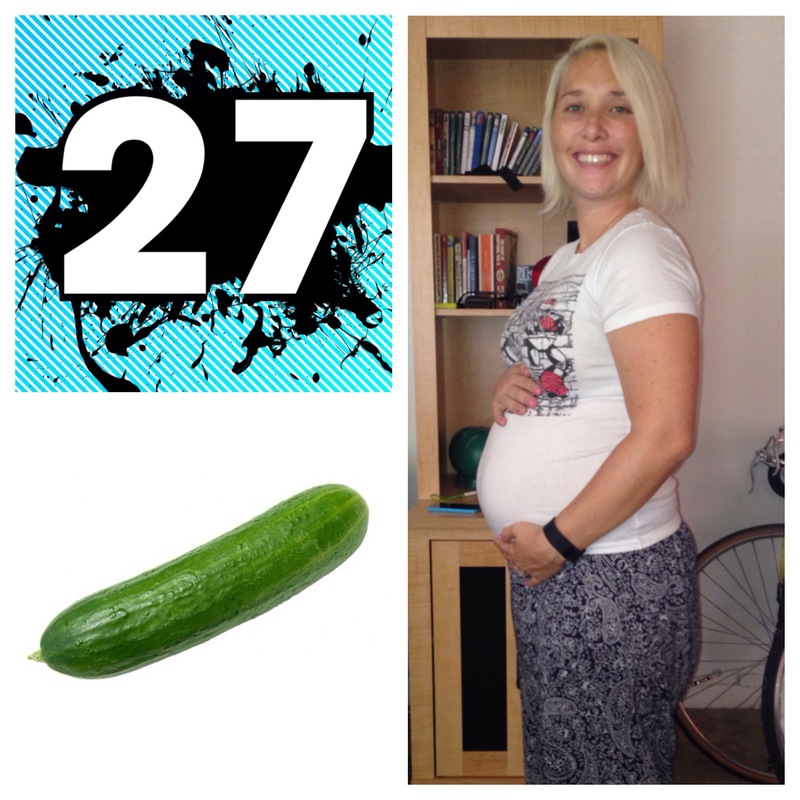 Baby Hill is now the size of a cucumber. Measuring in around 15 inches long and weighing around 2.2 pounds. As you would expect, growing baby also means growing belly. Baby likes to kick around and squirm regularly now. She really is having a party in there. Along with baby movements does come so discomfort, but she is worth every kick to the side and back ache. Food: By now all the food cravings and aversions are the same as they have always been. Nothing new here. Baby has quite the sweet tooth! Emotions: This deserves its own little subtitle this post because HOLY COW I have been soooo much more sensitive the last week or two than I have my entire pregnancy. Little things that normally would not bother me have caused me to burst into tears. Update: got a call this morning, passed my glucose test! Yay! However, am needing to take an iron supplement because I am anemic. At least that’s an easy fix to help baby and myself stay healthy! The doctor also measured my belly for the first time this appointment! I was pretty flattered. Means my belly has grown enough to measure! Woot! I have gained about 17 pounds so far in this pregnancy, and most of that is belly and breast weight (thankfully). 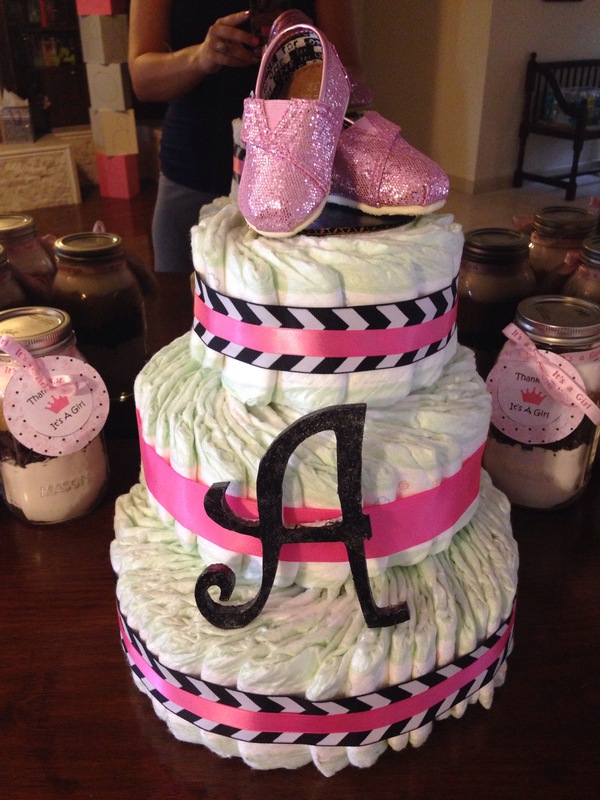 Fun Facts: We had an awesome baby shower the other weekend that my sister through for me. It was great! So many wonderful friends and family came to celebrate Peanut…and were amazing enough to give us some baby essentials to help us when she arrives. The cutest activity my sister did was the onesie painting. It was adorable. Baby Hill will have tons of fun, decorated clothes to wear from newborn until 24 months! Another exciting thing happened just the other day. I traded in my 2011 Ford Fiesta (stick shift) for an automatic 2012 Nissan Rogue. I am now officially feeling a bit more maternal with a cute SUV that can fit baby things better than my little pink hatchback would have. I may have shed a tear or two once the trade was finalized due to the exciting new chapter in my life that is becoming more and more real everyday. The next couple weeks will be crazy ones. High school diving season starts back up tomorrow and pre-school trainings start-up Tuesday. So long summer, hello busy fall schedule.